From Rte. US-22 take Rte. 53 North. Just past Van Ormer, turn right onto Rte. 253 east towards Glasgow. At Glasgow, turn right onto Skyline Dr. (Rte. 865 South). Turn Right onto Hollenway Dr. 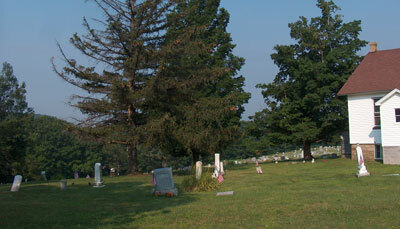 The cemetery is on the right side of the road.